To select all the cells in the table, click the first cell and scroll to the last cell. If your table has a lot of columns, instead of scrolling, click the first cell, press and hold the Shift key and click the last cell. Click File > Print > Print. Select Current Selection if it isn’t already selected, and then click Print. 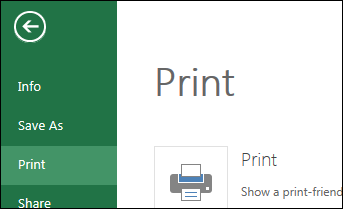 If you like the print preview, click Print. If not, close the view and make any required changes. 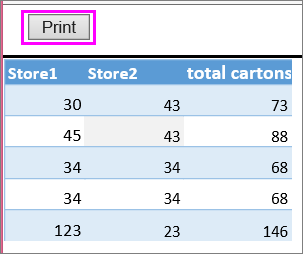 Learn how you can print a table with gridlines. If you have the Excel desktop application, click Open in Excel and print your table in Excel.